The Comouflaged helps to prevent upsetting to other patients & Visitor. The Aluminium top swings away to enable loading of inner stretcher. The top section can then be closed and a blanket can be droped over a pillow at one end. 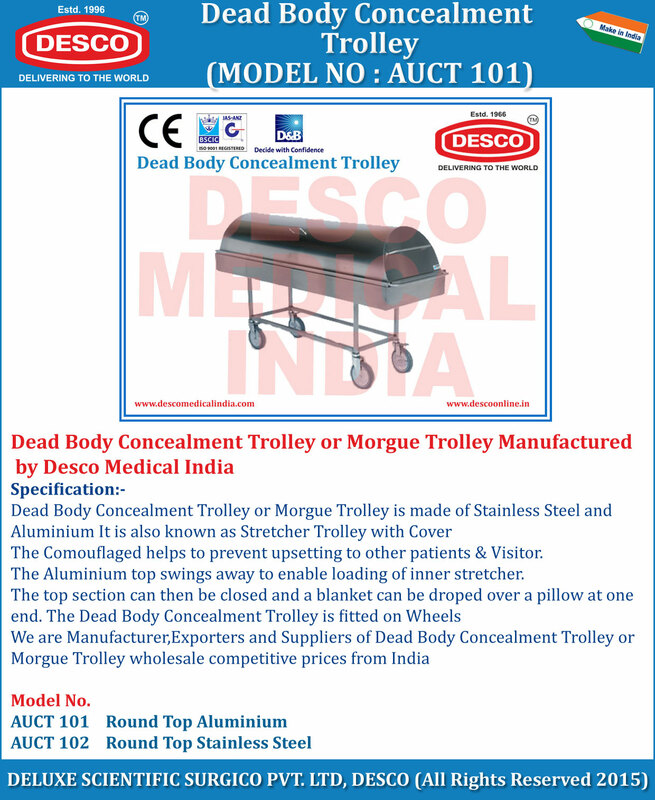 We are Manufacturer,Exporters and Suppliers of Dead Body Concealment Trolley or Morgue Trolley wholesale competitive prices from India.